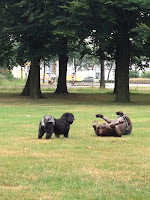 Today I had a lazy day with my dog. I didn't feel like looking awesome so I went for a comfy outfit. so I was curious if he would be nice to the little dog. Luckily they had a good time ! 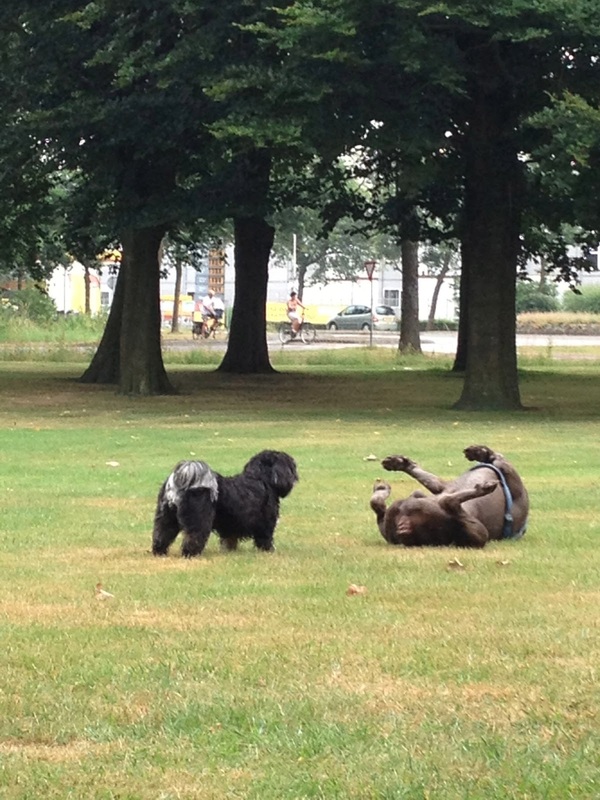 My dog is ofcourse the crazy one, rolling around in the grass. 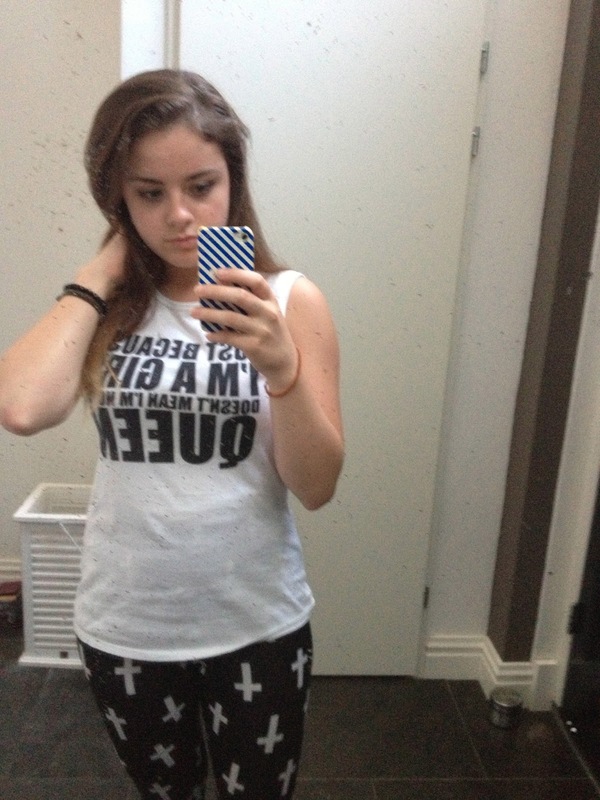 But they are expensive, so I bought this cross leggings at nelly.com where they were a lot cheaper. I must admit they are not as comfy as Blackmilks.. The weather is still pretty fine in the Netherlands so I wore a sleeveless top by Juicy Couture. It says : Just because I'm a girl doens't mean I'm not a queen. I bought this tee during my trip to London some time ago. I was wearing my pink Allstars and pink lipstick with it, but my lipstick faded and I couldn't get a good picture of my shoes.. So I'm just telling you how I wore this look. Have a wonderful evening ! Outfit ; Soldier in the sun. First post.. Nice to meet you !